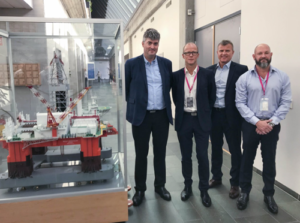 Seadrill Norway has been awarded a contract for drilling two exploration wells for Equinor in the Barents Sea by use of the West Hercules rig. Drilling is scheduled to start in the spring of 2019. The rig owner is responsible for integrated drilling services, such as casing running, remote-operated vessel, slop treatment and cuttings handling.